A papal conclave is a meeting of the College of the Cardinals that is held to elect a new Bishop of Rome or pope. In the Catholic Faith, the pope is the considered to be the apostolic successor of Saint Peter and the head of the Catholic Church so papal conclaves are an important process not just for the church as a whole but for individual Catholics. The papal conclave is the oldest method for selecting a leader of an institution that is still in practice. The papal conclave was developed over several centuries to address certain issues that take place during papal succession. The electoral body is made up of the College of Cardinals, or the group made up of all cardinals in the church. In 1274, Pope Gregory X made additional policies such as keeping the bishops in a secluded conclave in the Sistine Chapel until they had all agreed upon a successor. In 1970, Pope Paul VI made changes to the electoral body, limiting members to those under 80 years old. Two-thirds of the conclave’s vote is required for the election of a new pope. Papal conclaves take place during “Tempe Sede Vacante,” a Latin phrase that translates to “with the seat being vacant,” and the seat refers to the bishop’s throne. This is the time when the episcopal see of a particular church has become vacant following the death or resignation of the pope. In the case of the papacy, the church is the Diocese of Rome while the vacant seat is the Cathedral of Saint John Lateran, the church of the Bishop of Rome. 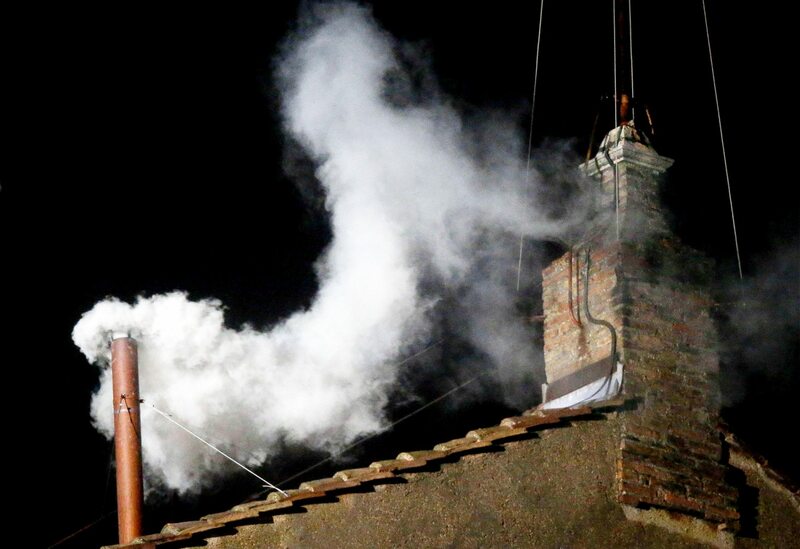 The cardinals electing a new pope cast their vote through a secret ballot. These cardinals are known as cardinal electors and their number is limited to 120. 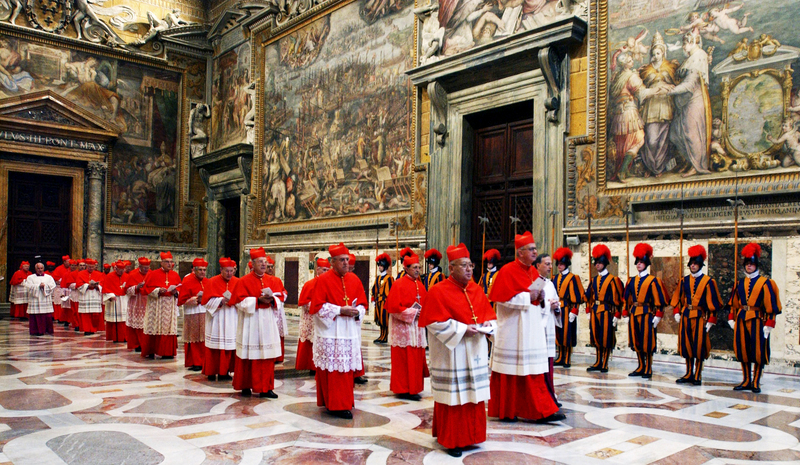 During the conclave, the cardinal electors proceed to the Sistine Chapel and take an oath of secrecy before the doors are sealed. On the afternoon of the first day, one ballot may be held but it is not required. If no ballot takes place or nobody is elected, a maximum of four ballots are held on each successive day. Two ballots are held in the morning and the remaining two in the afternoon. The electors take an oath affirming their obedience to the rules of the conclave before they cast their vote in the morning and in the afternoon. If there is no result after three days of balloting, the voting process is suspended for at most one day. Prayer is observed during this time and the senior cardinal deacon or Camerlengo gives an address. If no result is achieved after another seven ballots, voting is once again suspended and the senior cardinal bishop gives another address. After a further seven ballots, a day shall be set aside for prayer, reflection and dialogue. During this ballot, only the names of the two bishops who received the two highest votes shall be eligible in a runoff election. These two people will not be eligible to join the voting process at this point. Until a new pope is elected, the Camerlengo becomes church administrator. The ballots casted are burned together to relay the results of the conclave to the outside world. The results are indicated through the color of the smoke. Dark smoke or fumata nera means that the ballot did not result in an election while white smoke or fumata bianca means that a new pope has been chosen. The original practice was to add damp straw to the fire in order to create dark smoke. If a new pope has been elected, the ballots were burned on their own to create white smoke. Since 1963, chemicals have been used in the burning procedure. In addition to the smoke colors, ringing bells are also used to announce the success of the election process. Once a cardinal receives the required two-thirds vote, the dean of the College of Cardinals asks him if he accepts his election. If the pope elect is not a bishop, he will be consecrated as one before succeeding as pope. 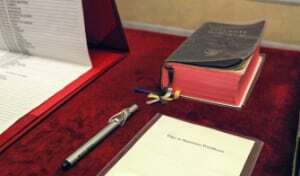 He will then choose a papal name, usually the name of a previous pope whose example he hopes to emulate. The new pope is then taken to the Room of Tears where he is dressed in papal vestments. When a new pope has been chosen, the Camerlengo walks onto the balcony of St. Peter’s Basilica and announces “Habemus Papam” which means “We have a new pope” to the crowd waiting in St. Peter’s Square. The new pope then processes out and gives his blessing to the city of Rome and the whole world. Hi dear, am grateful for your teaching. I have learnt a lot on how pope is elected. Thank you.